Shaun Hunter is the author of Calgary Through the Eyes of Writers (Rocky Mountain Books, 2018) – a literary journey around Calgary, from its frontier beginnings to today’s contemporary city. Her blog Writing the City explores Calgary as writers have depicted it. Her annotated Calgary reading list appears in CBC's Calgary at a Crossroads series. 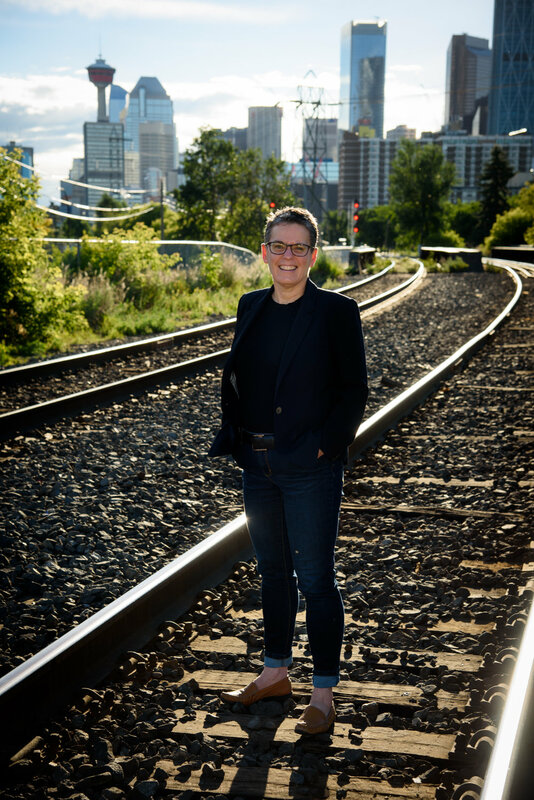 As a member of the Project Bookmark Canada’s Calgary Reading Circle, Shaun has worked to connect the city to this national literary trail. Shaun’s personal essays have appeared in anthologies, literary magazines and The Globe and Mail. Her essay “Skin Deep” was a finalist in the 2013 Alberta Literary Awards for the James H. Gray Award for Short Nonfiction. She is also the author of five biographies for young readers including books on celebrated women writers, artists and scientists, African-American Olympians and Canadian entrepreneurs.